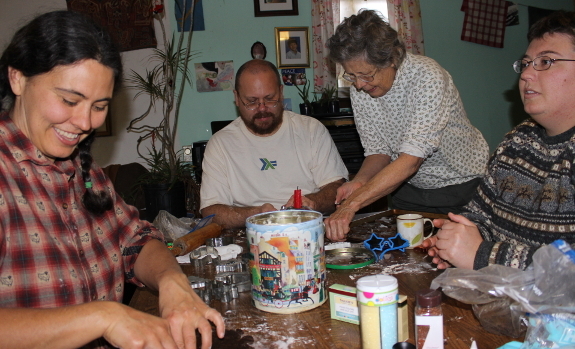 We celebrated Anna's birthday today by making Christmas cookies in Bristol. HAPPY BIRTHDAY SWEET GIRL ! Just saw your video w the goats n kale. It is wonderful to see you in action. I really am enjoying hearing your voice like I'm right there. Yall are doing a great job. Thank you mark for all your background work. Can't wait to see all the new videos to come. You kids rock ! Happy Birthday Anna! My whole family knows exactly who you are and my husband wishes you bright holiday lights and a happy birthday too! Thanks to everyone for your birthday wishes! It was definitely the best birthday ever and I appreciate having you all on our team. Glad you had a wonderful time with family celebrating your birthday! Love and many wishes for much success love and happiness this next year! Sorry I missed your birthday but it appears you had a great day with family. Happy Solstice! I'm a bit late, but I hope it was great!